Give your child that extra advantage with a regular training camp from the speed and agility experts. Had a growth spurt and suddenly lost their athletic edge? Persistent or chronic injuries that are affecting performance and confidence? Got plenty of speed once they get going but struggles off the mark? Developed high levels of skill and ability, but speed and agility is holding them back? Got potential and you want their development nurtured in the best possible hands? 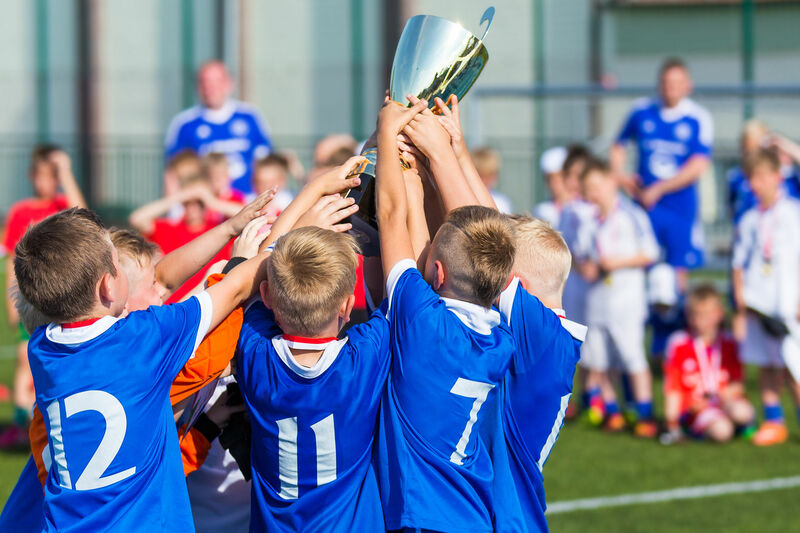 Using the same youth development philosophy employed by the most successful academies in the world (Bayern Munich, Barcelona, Ajax), our experts will help your child become the whole package – working on their speed and agility to complement the skills training provided by clubs and schools. Our head coach has more than 13 years experience working within professional football, rugby, squash, golf and tennis. At youth level, he has developed international badminton players, a world cup winning rugby player and helped improve the credentials of countless academy football, rugby and tennis players from 8 to 18. Our academies help bridge the gap between skills and performance, producing fully-rounded athletes with maximum speed, awareness, agility and strength, who are also happy, confident and supremely able to compete. “Sam’s speed and strength have developed so much because of the work you did with him not just physically but also helping him to understand how things work and why things have to be done a certain way to get optimum performance. Complete your details on this simple form and we’ll call you to discuss your child’s needs. With coaching sessions for all age groups, there will be something for your child. We coach in small groups of up to eight to ensure each child receives quality individual coaching. We call this age the “skill hungry years”, when children can pick up and retain skills for life. Coached in small groups, we create the firm foundations of athleticism in a fun, positive way. Our focus is on running technique, athletic co-ordination, balance, mobility and relative strength, which are all vital in establishing the building blocks of improved performance, prevention of injury and long-term enjoyment of not just their favourite sports, but sport in general. Time to put in the building blocks of all round athleticism, we focus on the critical skills of accelerating, sprinting, stopping, changing direction, throwing, jumping, co-ordination and balance. It’s these skills which create players who appear to be in a different league (Cristiano Ronaldo and Lionel Messi are good examples in football, but you’ll know the big names in your favourite sports). Embedding these crucial skills at this age will reduce their chances of injury as your child grows. This age is the critical time to establish precise, efficient and co-ordinated movement which your child will benefit from for life. Using the most up-to-date research on safe athlete training and injury prevention techniques, this programme uses our signature speed, strength and power training methods along with cutting-edge sports coaching techniques to produce maximum improvements in athletic performance. In this age group we increase our focus on gym-based strength and power training when athletes are ready for it. We introduce a restricted range of weight lifting appropriate to their age and development designed to set the foundations for a powerful athlete. We also know the impact growth spurts can have on an athlete’s performance and believe our unrivalled expertise and experience in this area helps to develop the strength and resilience necessary to navigate this tricky stage and steal a march on the opposition.